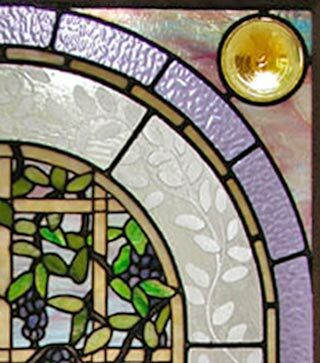 "WISTERIA P" STAINED AND LEADED GLASS VICTORIAN STYLE WINDOW CREATED BY JACK McCOY©. 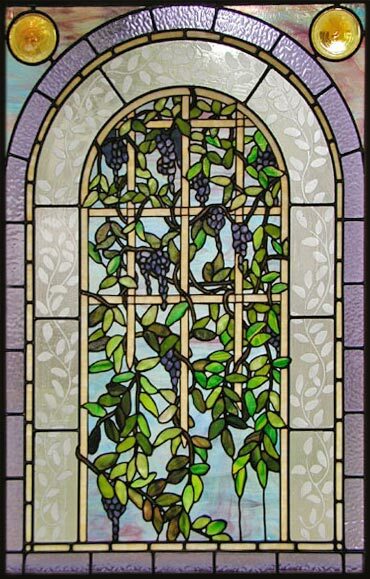 Wisteria custom stained and leaded glass window was 30" x 40". 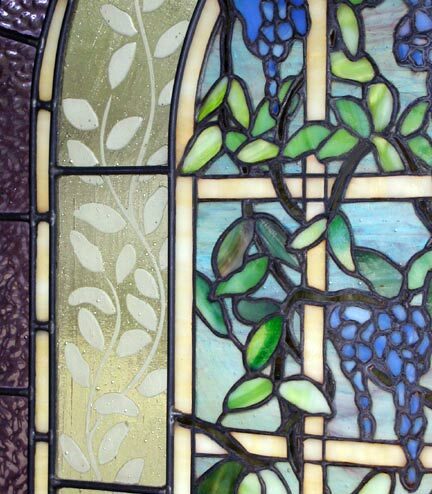 Custom stained and leaded glass window for a private residence in Austin, Texas. The vine and leaves in the wide neutral border were sandblasted. Beautiful rondells decorate the upper corners. The background glass can be resized for different openings.